There’s so much competition in the car finance market out there, it’s daunting trying to find the best deal or lender. Brokers bring together many products and lenders under one roof and work hard to get a loan that best suits you. But what are the standouts that make a car finance broker the best? Every business that provides credit must be licenced by the Australian Securities and Investments Commission. Accrediting firms with Australian Credit Licences protects consumers and places obligations on lenders to take out insurance, membership in an independent dispute resolution company and follow rules on responsible and fair lending. Your lender should need a licence to win your business. 2 – Can you visit them? Though .com.au and .net.au websites in Australia must be ABN holders as defined by .au Domain Administration policy, they can’t catch all the fraudulent “fly-by-night” sites out there. If a broker has a physical address you can visit in person or on Google Maps, it’s a sure-fire sign they’re a solid car finance broking business. Even better is if they have more than one location. It’s also worth checking how long the business has been around using the Australian Business Register. In the age of the internet, you’re either very good at your business or gone. There’s no room for bad customer service since anyone can jump online and put a black mark next to your name – almost literally! Look at online rating sites such as WOMO.com.au to see what others are saying about your prospective broker. Better still; ask for a referral from a trusted friend or family member. The best brokers will have relationships with many car loan lenders or financiers, giving them access to a higher and better range of car loan products. More lenders mean more competition for your business offering the lowest rates and most flexible terms. 5 – Do they offer other services? The best car loan brokers offer a variety of other credit services and after-market products for your car. Good brokers offer motor vehicle insurance and other kinds of loans, such as chattel mortgages for businesses. Even better brokers offer GAP insurance or loan insurance. Managing your car loan and insurance with the one broker streamlines the process. It could save you a lot of money. You have to trust your car loan broker and the best have the highest levels of knowledge and customer service. 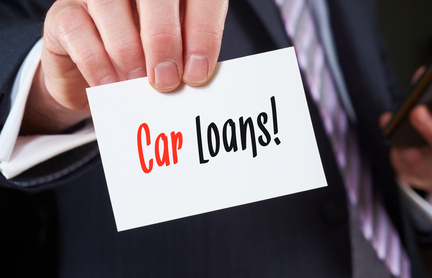 You should only trust financial professionals who have worked in the industry for many years and know their car loan products inside and out. Bill Tsouvalas is founder and managing director at carclick.com.au a premium online automotive classifieds site listing new and used cars for sale from dealers and private sellers Australia Wide. Bill has been working in the vehicle and asset finance business for more than eight years. He also writes car reviews and articles on car finance, chattel mortgage, insurance, consumer protection and insurance related topics.